There is no sight more precious than baby’s first smile. And in order to preserve that perfect grin there are several oral care steps parents need to be taking when children are young and their teeth are still growing and developing. So when should parents start providing oral care for their children, and teaching them good oral hygiene habits? The answer is immediately after birth. Even before teeth make an entrance, an infant’s gums need to be cleaned every day to prevent buildup of bacteria or fungi that could cause infections. After every feeding, use a soft, clean washcloth to gently wipe down a baby’s gums. Children’s feeding habits can expose them to decay at an early age: baby bottle tooth decay is the term used to describe mouth decay caused by frequent drinking from sippy cups filled with milk and sugary juices. Bad bacteria in the mouth feed on sugar and form acids that cause decay. Control young children’s time spent with a bottle or sippy cup – frequent sipping on sugary drinks releases repeated acid attacks in the mouth and creates a breeding ground for bad bacteria to thrive. Don’t give toddlers a sippy cup filled with milk or juice at night. Offer water instead or wean babies away from too many sweet drinks at night. Bacteria is easily transmitted by saliva; don’t share utensils with infants or children, and don’t use saliva to clean pacifiers or other toys babies may put in their mouths. When babies begin teething around six months, use clean, chilled teething rings to soothe mouth irritation. Don’t dab them with honey or sweeteners – sugar can lead to tooth decay. Once baby teeth begin to form start cutting off soothers and pacifiers and limiting thumb sucking. 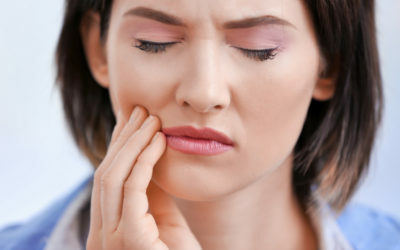 Repetitive sucking motions can disturb the alignment of the jaw and teeth and affect speech. As soon as the first tooth emerges, begin cleaning it twice a day with a soft baby toothbrush and a smear of fluoridated toothpaste. Brush all sides of the tooth and continue wiping down the gums. Both the American Dental Association and the American Academy of Pediatrics recommend using fluoridated toothpaste as soon as the first tooth comes in and have deemed a smear size safe for use on small babies. By age three, when baby teeth start to settle into place, graduate to a pea-sized amount of fluoridated toothpaste. As soon as children have two teeth that touch, begin flossing between them. Baby teeth act as placeholders for permanent teeth; they help guide permanent teeth into their proper places in the mouth. Baby teeth are the ones that children learn how to eat, speak, and form sounds with – they play a crucial role in toddlers’ development. And they are no less susceptible to cavities than a permanent set of adult teeth; tooth decay can occur as early as six months, when most babies begin teething. 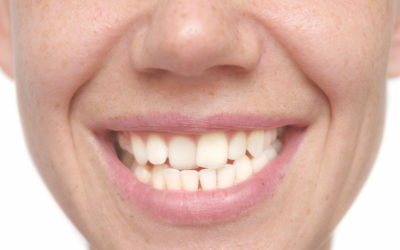 By age three, the first set of 20 pearly whites are typically in place. Some baby teeth may last until ages 12-13, at which point a permanent set should replace them. 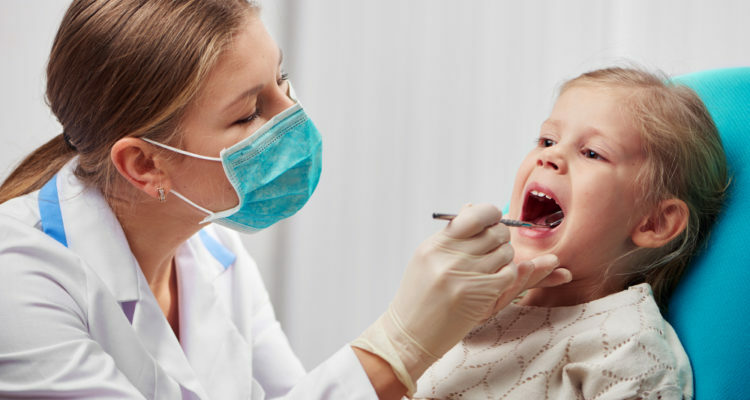 For young children who are unable to brush and floss on their own, parents should also be checking under their children’s’ lips every day for tell-tale white or brown spots on the teeth or gumline that indicate tooth decay is developing. Parents should continue to help children brush and floss teeth until they have formed a consistent routine and can manipulate toothbrushes properly and spit safely on their own. Parents need to set another good routine as well: begin making regular dental appointments when a child’s first tooth comes in fully, which is usually around age one. 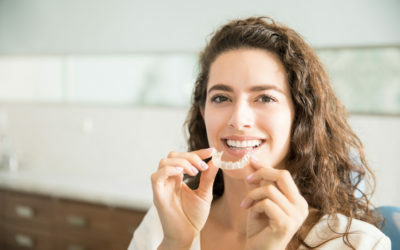 At this point, the dentist will be able to go over proper oral care for new teeth, as well as other questions parents may have about fluoride, sealants, and good snack choices for healthy teeth. If it is time for baby’s first check-up, contact Boyett Family Dentistry today at 863-294-9200 and set an appointment.